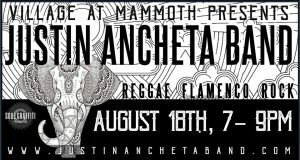 August 2018 Justin Ancheta Band News - Mammoth Show and More. We are excited to be in the midst of the August summer and river times. Although the smoke from all the fires is really bad in Grass Valley, CA we are making due by trying to stay indoors as much as possible. It’s sad to see all the pollution in the air. It’s affecting our voice, lungs, and health and really hope that us humans can make some amends with nature in the coming generations. We hope to see some in our times too. This all said, LIFE goes on, and the SHOW must go on. We are pleased to announce that Pedalfest 2018 was a HIT. The bands performing were The Big Fit, Justin Ancheta Band, Shannon Hayden, and Seneca from Earth Amplified. Check out our highlight reel HERE, and click to subscribe on the Soul Graffiti YouTube page to support these artists and more. 8/10/18 Justin Ancheta and Cello Joe will be at Elixart in Nevada City, CA from 8-11 pm. Come to enjoy bottomless Kava and Cacao while listening to some new tunes from these fellas. Here is a link to the event and a preview. 8/18/18 Get ready for The Justin Ancheta Band at Village at Mammoth, August 18th, 2018 from 7 pm to 9 pm. We have DJ Soul Graffiti opening the night up earlier, so come out early and enjoy the summer in the Sierra’s with us. The band has been building up an audio-video studio for the past 5+years. Now they are ready to take their jams and learnings back out into the world for a round of making festive vibes. If you’d like to support the collective Ancheta has been creating then please check out their Patreon page HERE. Any monthly contribution is greatly appreciated to continue creating audio and video content. The upcoming official video’s from the album PLANT is to be released soon. Stay tuned! 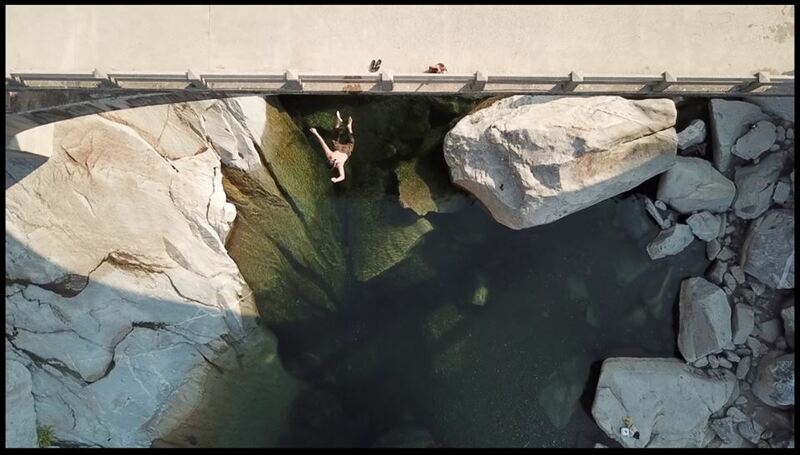 Ancheta did a drone and underwater video shoot this past week to describe the feelings of the song Downward, from the PLANT album. Stay tuned for a release date!